Recently, I decided to just do what the teacher asked. I know, really profound right? Well, I’m a yoga teacher and have been practicing yoga for over 10 years now, and I have learned over time how to “personalize” my practice. But sometimes, “personalizing” your practice, can mean getting caught up in your own preferences. Sometimes personalizing your practice and staying rooted in your preferences can hold you back from real growth on and off the mat. I’m not saying that certain modifications aren’t necessary for injuries or physical limitations – the practice should not hurt or ever lead to injury – but knowing when you have ventured out of modification and into preference is an important part of growth in your practice. When I allow myself to be a beginner (again), I see my practice through new eyes, I discover new sensations, and ultimately have new experiences on my mat. Sensation and discomforts help you learn how you react in class, and in the world. When I allow myself to be a beginner, I are more able to see where my ego lies in my own practice. I challenge my own practice “preferences” and ultimately get to question why they are there. Why am I doing what I’m doing? Is it because I have always just done it that way? When I allow myself to be a beginner, I enter my practice with humility and question what is right for me- which can change dramatically from class to class. As I get older, my body has changed and ultimately so should my practice. Maybe what once felt great, changes over time. When I allow myself to be a beginner, I explore other styles of yoga again and sometimes realize that maybe my previous goals don’t match my current needs from my practice. Is it time to add in more restorative or gentler practices? Or is it time to challenge complacency and take it up a notch? When I allow myself to be a beginner, I encounter inspiration in different places as a teacher. I think about new ways to teach yoga and ultimately new ways to teach myself ultimately growing as a teacher and practitioner. Being a beginner can be scary, it leaves a lot to the unknown. You are trusting that you will be guided in the right way, to explore this beautiful practice of yoga. But ultimately yoga teaches us to keep learning, trust what is inside of us, and spend time in reflection. 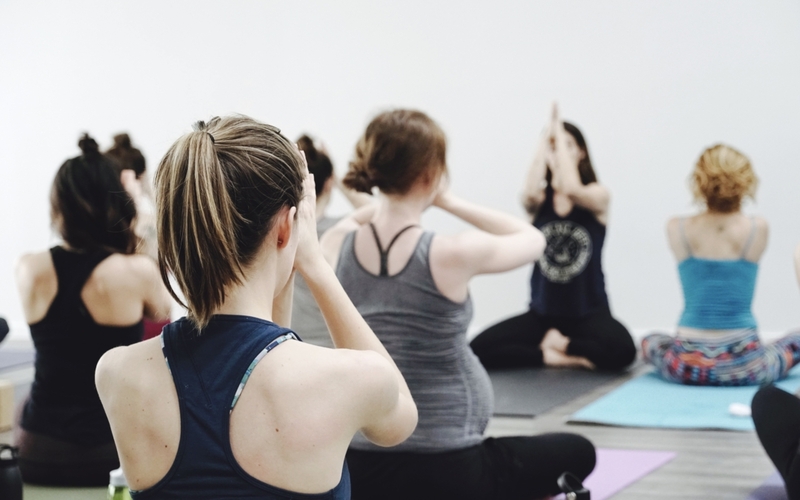 Want to learn more about Yoga and thinking about trying it out? Take a look at our page for beginners to learn more. Tuladhara Yoga is located in the city of Lakewood, next to Meadow Park Golf Course and H&L Produce. Just 10 minutes from University Place, Fircrest and Tacoma. Plenty of Free Parking!! Download the MindBody App for Apple or Android and add Tuladhara as a favorite to quickly check the schedule and book classes! Your inbox deserves a savasana. Join our mailing list to receive timely updates about Tuladhara Yoga classes and events.